5.96" display, Snapdragon 820 chipset, 16 MP primary camera, 8 MP front camera, 4150 mAh battery, 64 GB storage, 4 GB RAM, MIL-STD-810G compliant, Corning Gorilla Glass 4. 12.3" IPS LCD display, Snapdragon 800 chipset, 8 MP primary camera, 2 MP front camera, 32 GB storage, 2 GB RAM, Corning Concore Glass. 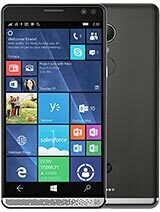 10.1" IPS LCD display, Intel Atom Z3735G chipset, 5 MP or 2 MP primary camera, 2 MP or 1.3 MP front camera, 8380 mAh battery, 32 GB storage, 2 GB RAM. 7.86" IPS LCD display, Snapdragon 800 chipset, 8 MP primary camera, 2 MP front camera, 5900 mAh battery, 32 GB storage, 2 GB RAM, Corning Gorilla Glass 4. 7.0" LTPS IPS LCD display, HiSilicon Balong V9R1 chipset, 13 MP primary camera, 5 MP front camera, 5000 mAh battery, 16 GB storage, 2 GB RAM. 6.0" IPS LCD display, Marvell PXA1088 chipset, 8 MP primary camera, 2 MP front camera, 3000 mAh battery, 16 GB storage, 1 GB RAM. 10.1" IPS LCD display, 5 MP primary camera, 2 MP front camera, 7700 mAh battery, 16 GB storage, 2 GB RAM. 6.95" TFT display, MT8382 chipset, 5 MP primary camera, 3000 mAh battery, 8 GB storage, 1 GB RAM. 17.3" IPS LCD display, Intel Celeron N2807 chipset, 0.9 MP primary camera, 32 GB storage, 2 GB RAM. 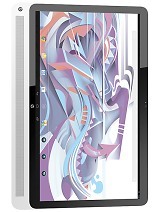 7.0" IPS LCD display, Allwinner A31 chipset, 2 MP primary camera, 2800 mAh battery, 8 GB storage, 1 GB RAM. 7.85" IPS LCD display, Allwinner A31 chipset, 2 MP primary camera, 3800 mAh battery, 16 GB storage, 1 GB RAM. 7.0" IPS LCD display, Marvell PXA1088 chipset, 5 MP primary camera, 2 MP front camera, 4100 mAh battery, 16 GB storage, 1 GB RAM. 6.0" IPS LCD display, Marvell PXA1088 chipset, 5 MP primary camera, 2 MP front camera, 3000 mAh battery, 16 GB storage, 1 GB RAM. 8.0" display, Nvidia Tegra 4 T40 S chipset, 8 MP primary camera, 5680 mAh battery, 16 GB storage, 1 GB RAM, Corning Gorilla Glass 3. 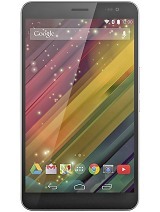 10.0" display, Marvell PXA986 chipset, 5 MP primary camera, 2 MP front camera, 7000 mAh battery, 16 GB storage, 1 GB RAM. 7.0" IPS LCD display, Nvidia Tegra 4 chipset, 5 MP primary camera, 4100 mAh battery, 16 GB storage, 1 GB RAM. 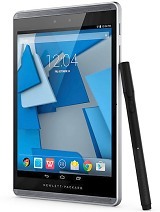 7.0" display, Nvidia Tegra 3 chipset, 5 MP primary camera, 4000 mAh battery, 8 GB storage, 1 GB RAM. 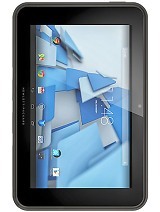 7.0" FFS+ LCD display, 3.15 MP primary camera, 8 GB storage, 1 GB RAM.